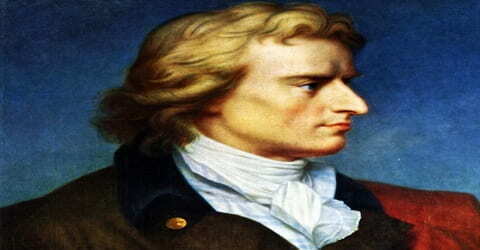 Friedrich Schiller – German poet, philosopher, physician, historian, and playwright. A leading German dramatist, poet, and literary theorist, best remembered for such dramas as Die Räuber (1781; The Robbers), the Wallenstein trilogy (1800-01), Maria Stuart (1801), and Wilhelm Tell (1804), Friedrich Schiller was born on 10 November 1759, in Marbach, Württemberg, as the only son of military doctor Johann Kaspar Schiller (1733-1796) and Elisabeth Dorothea Kodweiß (1732-1802). 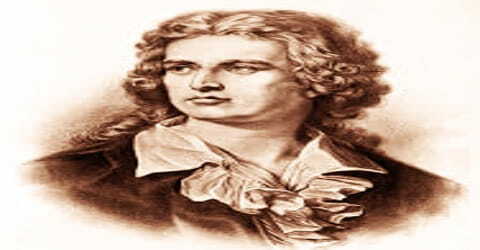 Voted by a Franco-German TV network as ‘the second most important playwright in Europe after William Shakespeare’, Friedrich Schiller is widely revered to as one of the most important classical playwrights of Germany. He managed to conceive new forms of expression in drama like bourgeois tragedy and melodrama. During his lifetime, Schiller formed an intimate and close friendship with the famous writer Johann Wolfgang von Goethe. Schiller encouraged Goethe to finish many of his incomplete works and their discussions led to the creation of what came to be known as ‘Weimar Classicism’. They also worked on the collection of satirical poems titled, ‘Xenien’. They frequently discussed issues concerning aesthetics, and Schiller encouraged Goethe to finish works he left as sketches. This relationship and these discussions led to a period now referred to as Weimar Classicism. 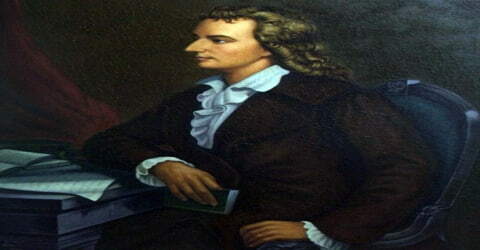 During his lifetime, Schiller authored many papers on philosophy, ethics, and aesthetics. Many of his stage plays have been adopted by composers of the 20th century and later. During his earlier days, he was trained to be a priest but later obtained a degree in medicine. He initially worked as a regimental physician but later quit the same to watch the opening of one of his plays. Friedrich Schiller, in full Johann Christoph Friedrich von Schiller, was born on 10 November 1759, in Marbach, Württemberg, as the only son of military doctor Johann Kaspar Schiller (1733-1796) and Elisabeth Dorothea Kodweiß (1732-1802). They also had five daughters, including Christophine, the eldest. His father was a field surgeon and officer in the employ of Duke Karl Eugen of Württemberg. In 1763, his father was appointed as a recruiting officer at Schwabisch Gmund, Germany. The family hence relocated to Germany and settled down in the small town of Lorch. In Lorch, Friedrich Schiller attended primary school but was rather unhappy with the quality of education and often missed classes. Since his parents wanted him to become a pastor; he was instructed in Latin and Greek by the village pastor. In 1766, the family left Lorch for the Duke of Württemberg’s principal residence, Ludwigsburg. Schiller’s father had not been paid for three years, and the family had been living on their savings but could no longer afford to do so. So Kaspar Schiller took an assignment to the garrison in Ludwigsburg. At 13, the young man entered the Duke’s military academy, called the Karlsschule, where Schiller studied law and medicine. At 21, he joined a Stuttgart regiment. His first play, ‘The Robbers’ was written while he was still in school. It was published in the year 1781 and the following year, it opened in Germany. The play was primarily about a conflict between two brothers. Friedrich Schiller married Charlotte von Lengefeld (1766-1826), On 22 February 1790. Two sons (Karl Friedrich Ludwig and Ernst Friedrich Wilhelm) and two daughters (Karoline Luise Henriette and Luise Henriette Emilie) were born between 1793 and 1804. The last living descendant of Schiller was a grandchild of Emilie, Baron Alexander von Gleichen-Rußwurm, who died at Baden-Baden, Germany, in 1947. In 1782, he escaped to Weimar, through Frankfurt, Mannheim, Leipzig, and Dresden. The following year, his full-length drama, ‘Fiesco’ premiered at Bonn, Germany. In 1784, his five-act play titled ‘Intrigue and Love’, premiered at the Schauspiel Frankfurt. In later years, the play was translated in French and English. 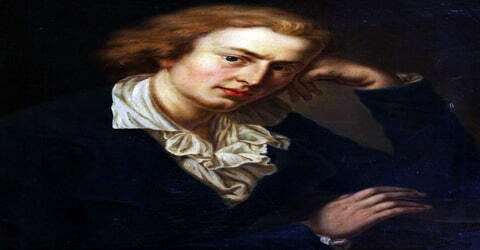 In 1785, Schiller came out with the poem titled, ‘Ode to Joy’. The following year, he came out with his work of prose titled, ‘Der Verbrecher aus verlorener Ehre’, written in the form of a crime report. In 1787, his five-act tragic play, ‘Don Carlos’ opened in Hamburg. The play revolved around the clash between Don Carlos and his father, King Philip II of Spain. Other plays about the struggle for freedom include Schiller’s masterpiece the Wallenstein cycle (Wallenstein’s Camp, The Piccolomini, and Wallenstein’s Death) (1798-1799), Maria Stuart (1800), The Maid of Orleans (1801), and Wilhelm Tell (1804). Schiller authored 38 poems, philosophical works (influenced by Kant), essays (eg. “Letters on the Aesthetic Education of Mankind”), and historical studies; was appointed a professor of history at the University of Jena; and also edited several literary journals (The Hours, Anthology of the Year, The Muse’s Almanach, and the Rheinische Thalia). In 1794, his work of prose titled, ‘On the Aesthetic Education of Man in a series of Letters’ was published. This work was written taking the French Revolution as a frame of reference. In 1797, Schiller wrote the ballad, ‘Polycrates’ Ring’, which was published the next year. That year, he also authored the ballads, ‘The Cranes of Ibycus’ and ‘Der Taucher’. Schiller returned with his family to Weimar from Jena in 1799. Goethe convinced him to return to playwriting. He and Goethe founded the Weimar Theater, which became the leading theater in Germany. Their collaboration helped lead to a renaissance of drama in Germany. In 1799, Schiller completed his drama trilogy titled, ‘Wallenstein’. The trilogy consisted of the plays, ‘Wallenstein’s Camp’, ‘The Piccolomini’ and ‘Wallenstein’s Death’. In 1800, Schiller came out with the plays, ‘Mary Stuart’ and ‘The Maid of Orleans’. The following year he came out with the work of translation, ‘Carlo Gozzi, Turandot’ and the play,‘Turandot, Prinzessin von China’. In 1803, his tragic play titled ‘The Bride of Messina’ premiered at Weimar, Germany. The following year, he wrote the work of drama titled, ‘William Tell’, based on the Swiss marksman of the same name. Many composers were inspired to set Schiller’s work to music. Perhaps the best-known setting is that created by Beethoven for the magnificent, heavenly vision of universal freedom in the poem An die Freude (Ode to Joy) in the fourth movement of his Symphony No. 9. Heinrich Kleist later refuted this poem in his “Germania an ihre Kinder” (Germany to Her Children), which imitated the exact same verse form and was filled with ghastly and despairing images of the misery that other nations had inflicted on that country. Beethoven also set Schiller’s Death Walks Swiftly, the song of the monks from Wilhelm Tell. An astonishing number of splendid Schiller songs were generated by Franz Schubert. Schiller was ennobled (with the addition of a von to his name) in 1802. Death overtook him in 1805 while he was working at a new play on a Russian theme, Demetrius (1805). Judging by the fragments that remain, it might well have developed into a masterpiece. Between 1813 and 1819, 61 songs appeared for male, female, and unspecified voices, plus the Dithyrambe (Der Besuch) and Hymn on the Immortal for mixed chorus. Schubert often wrote two or three unique songs on the same text as his understanding of the poems matured. He created new solutions for the Ode to Joy and Laura at the Piano, a secret homage to the young Schiller’s landlady Luise Vischer. The later Romantic Robert Schumann set only Schiller’s Der Handschuh (The Glove), Op. 87, 1850. While the German composers seem mostly to have embraced Schiller’s imagery of love and brotherhood, with some occasional supernatural shadows like Schubert’s Eine Leichenfantasie (Corpse Fantasy) and Thekla: eine Geisterstimme (Tekla: A Spirit Voice), the Italian composers seem to have been drawn toward the theme of revolutionary struggle. 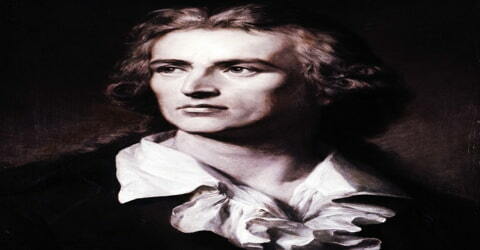 There are relatively few famous musical settings of Schiller’s poems. Notable exceptions are Beethoven’s setting of “An die Freude” (Ode to Joy) in the final movement of his Ninth Symphony, Johannes Brahms’ choral setting of “Nänie” and “Des Mädchens Klage” by Franz Schubert, who set 44 of Schiller’s poems as Lieder, mostly for voice and piano, also including “Die Bürgschaft”. In 2005 Graham Waterhouse set Der Handschuh (The Glove) for cello and speaking voice. Friedrich Schiller remained in Weimar, Saxe-Weimar until his death at 45 from tuberculosis on May 9, 1805. The coffin containing what was purportedly Schiller’s skeleton was brought in 1827 into the Weimarer Fürstengruft (Weimar’s Ducal Vault), the burial place of the house of Saxe-Weimar-Eisenach in the Historical Cemetery of Weimar and later also Goethe’s resting place. In 1839, a statue of him was built in the city of Stuttgart. It was later renamed Schillerplatz. It is speculated that this renowned German poet, historian, and philosopher was a Freemason. In 2008, after DNA tests, scientists found that the skull found in this German poet and writer’s coffin was not his and his tomb now lies vacant. The physical resemblance between this skull and the extant death mask as well as to portraits of Schiller had led many experts to believe that the skull was Schiller’s. One of the most striking features of Schiller’s oeuvre is its modernity, its startling relevance to the life of the 20th century. Although for a time he fell out of favor with the German intelligentsia, the enduring value of his work is not likely to be obscured by fashions in criticism.